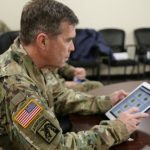 WASHINGTON (Army News Service, Sept. 9, 2014) – Now is the time for qualified Soldiers to apply for the Army’s Broadening Opportunity Program, said Joel Strout, the program manager. Deadlines are coming up quickly for programs starting next year. The first deadline is next month. 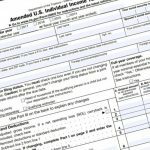 It often takes people longer than expected to get their applications prepared, he added. For those who apply, “it’s an opportunity of a lifetime for the Army’s best Soldiers to get even better,” Strout said. Some of the programs even involve travel overseas, where Soldiers can get intercultural assignments that will broaden their horizons and ultimately help the Army as well. Other assignments involve experience in the commercial sector or in the legislative or executive branches of government. Cutting-edge graduate degrees in cybersecurity and anti-terrorism are offered, along with other sought-after degrees such as business administration and public administration. These degrees are from top-tier universities, like Harvard, he added. If that weren’t enough, Soldiers can take their families with them to school and the follow-on assignment, all the while getting full pay and allowances, while not accruing any college debt, since everything is fully funded. “That’s a real important consideration as the cost of education around the country becomes less and less affordable for many people,” Strout said. Finally, completing a Broadening Opportunity Program assignment will be a good plus in an individual’s development as an Army Strategic Leader and in life after the Army. And, while in the program, Soldiers will have the opportunity to network with other professionals. 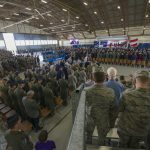 The most important thing to do right now is to go over each of the program offerings, read the Military Personnel messages, referred to as MILPER messages, thoroughly and get started on the application process, Strout said. Essays and letters of recommendation are required for all programs. The Broadening Opportunity Program is offered to staff sergeants through command sergeants major, chief warrant officer 2 to 5, and captains to lieutenant colonels, depending on the specific program. 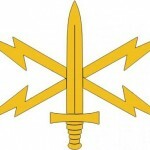 Complete information can be found at http://www.hrc.army.mil/bop. After carefully reading the MILPER message, if there is still a question, Soldiers can contact Strout at Joel.d.Strout.civ@mail.mil. The most common reason Soldiers contact him is to request waivers, he said. The first deadline, Oct. 27, is for the White House Fellowship. Strout noted that the selection process changed this year for that fellowship. Closely following that, is the Nov. 3 deadline for the Chief of Staff, Strategic Studies Group. See MILPER message 14-242. Next, is the British Advanced Command and Staff Course, with a Nov. 21 deadline. See MILPER message 14-240. All of the other programs listed below have a Dec. 30 deadline. Two of the below programs are brand new this year, Strout noted. The first, the CGSC Interagency Post MEL4 Fellowship, immerses officers into a federal department or agency for one year to develop a more thorough understanding of the agency’s mission, culture, capabilities and procedures while serving as a fully integrated staff officer, Strout said. This fellowship requires an “innovative mindset and individual initiative.” Selected officers need to be comfortable routinely interacting with very senior officials within the interagency community. Participating agencies are: Departments of Commerce, State, Homeland Security, Energy; CIA; FBI; National Security Agency; Office of Management and Budget; and, Office of the Director of National Intelligence. More information can be found in MILPER message 14-246. 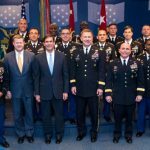 The second, U.S. Army TRADOC Internship, allows officers to pursue a Master’s degree in Business at the College of William and Mary’s Mason School of Business. The MBA portion “requires a career acceleration module that puts students to work on a project for an organization under the counsel of a faculty member and an executive partner — general officer or senior executive — from the sponsoring organization,” Strout said. This program provides officers an academic and developmental opportunity that supports leader development and talent management, the Army leader development strategy, and the commanding general of TRADOC, he added. More info can be found in MILPER mesage 14-247.